I was lucky enough to start my business in Jackson Hole – a mecca for skiing, climbing, rafting, camping, the works. It was there that I fostered my love for photography and capturing the beauty of those majestic Teton peaks. While I still photograph 4-5 weddings per year in Jackson Hole, most of my year is spent enjoying the mountains of the Pacific Northwest. And let me tell you, it’s one stunning place. From the moss-covered forests to expansive views of our favorite volcano, we have it made here. While I love a good urban wedding, I much prefer weddings that get me into my element – the mountains. Now that I’ve been running my business in Seattle for several years, I’ve been able to compile a list of my favorite Washington mountain wedding venues. 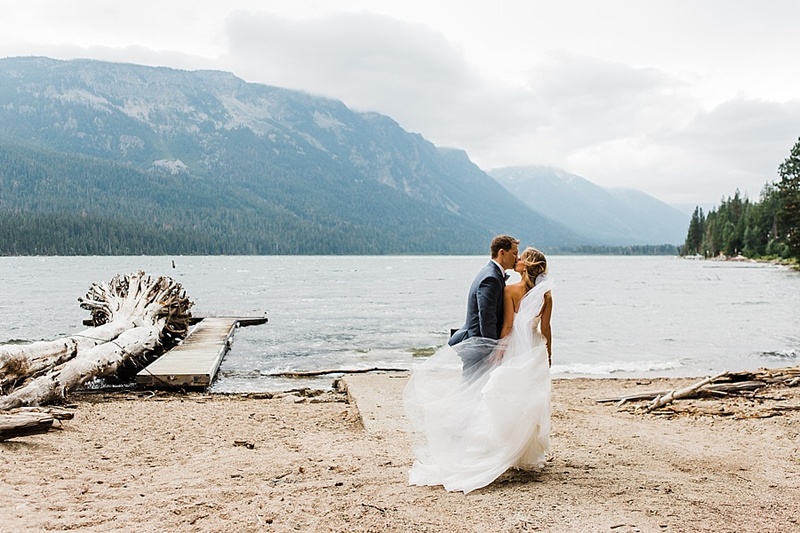 So if you find yourselves with an adventurous itch and want to tie the knot in the beautiful Cascade Mountains, look no further! What can I say? I have an undying love for Crystal Mountain. Having been married there myself, I know the ins-and-outs of the place. I am also a season pass holder for the winter and simply love being up there. The lodge is right at the base of the mountain, tucked into it’s own little valley. There is even lodging right there for all of your guests to enjoy – a rare find for Washington mountain wedding venues! They have several options for your wedding – a ceremony at the top of the mountain complete with gondola ride, or a lovely setting at the base surrounded by the beautiful peaks. There are also activities for your guests should they decide to stay a little longer – hiking, gondola rides to see the majestic views of Mt. Rainier, a drive into Mt. Rainier National Park, disc golf, and a few lovely restaurants to enjoy. You can’t go wrong getting married at Crystal Mountain! Another absolute favorite of mine! Brown Family Homestead is located near Lake Wenatchee in the little town of Plain, Washington. Nearby Leavenworth has tons of options for guest-lodging, plus lots of attractions and restaurants to enjoy beyond the wedding. The Brown Family started their homestead in 1902 and it’s still family-run by Karen and her daughter Hannah – two absolutely wonderful ladies who take such great care of the couples they work with! If a laid-back rustic venue with a mountain meadow is your dream, then Brown Family is an ideal location to tie the knot! This lovely little resort is right outside of downtown Leavenworth on Icicle Creek Road. 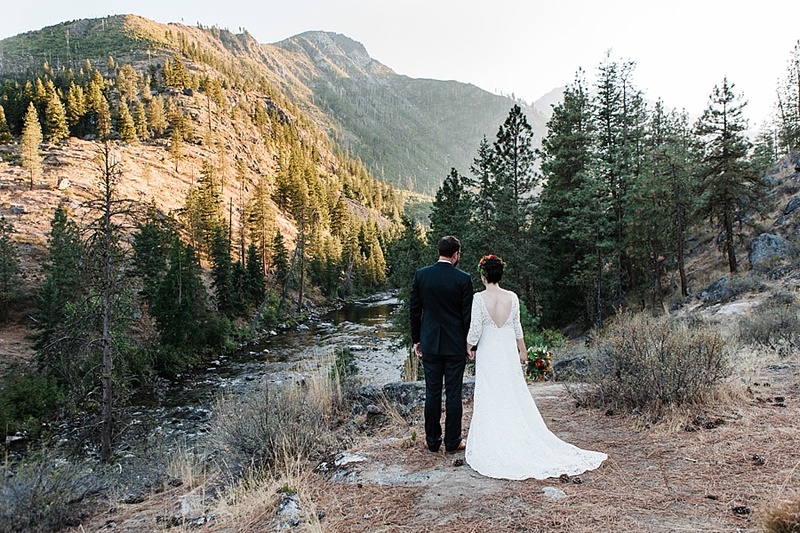 The ceremony location that overlooks Icicle Creek and the surrounding peaks is just to-die-for! Once one of my couples even spotted a black bear by the river while they were at their rehearsal dinner. Guests can stay in the nearby town or on-site at one of the property’s little cabins. Sleeping Lady also does all of their own catering which cuts out another piece of the wedding-planning puzzle. I’ve got a special place in my heart for Roslyn, Washington and Swiftwater Cellars just so happens to be located just outside of it. Swiftwater boasts several locations for your wedding – both indoor and outdoor, light-filled or cozy and intimate, they have you covered. Their big beautiful gazebo is the perfect ceremony location and the views from the lodge are simply lovely! Not to mention they have some super tasty wine 🙂 Its location right on the eastern side of Snoqualmie Pass near Cle Elum is great for lodging options and lots of recreation opportunities for your guests to explore after the wedding. Roslyn is an adorable little town with Washington’s oldest bar, vintage shops, and cute restaurants. Also located in Plain, Mountain Springs Lodge is another one of my favorite Washington mountain wedding venues. They have a mix of beautiful cabins and lodges, mountain meadows, babbling brooks and stands of aspen trees. They have so many options for setting up your perfect wedding event and you can book out the cabins for the wedding party and guests. In other news this may sounds strange but I do have a bit of a venue “bucket list”. I get super inspired when working in new locations and there are several venues that I have yet to work at that I’m dying to check out! If you are getting married at one of the following locations, I’m offering $100 off your booking with me! Email [email protected] for full pricing and availability. Booked your venue but need catering, a florist or DJ? Take a look at some of my favorite vendors to work with on my website. Wishing you the best with your wedding planning!